This seasoned and delicious bread can be used in making your favorite sandwiches or it holds it’s own as a compliment for any meal. Mix olive oil, garlic and tarragon. Brush 2 tablespoons in a 9×13-inch pan. 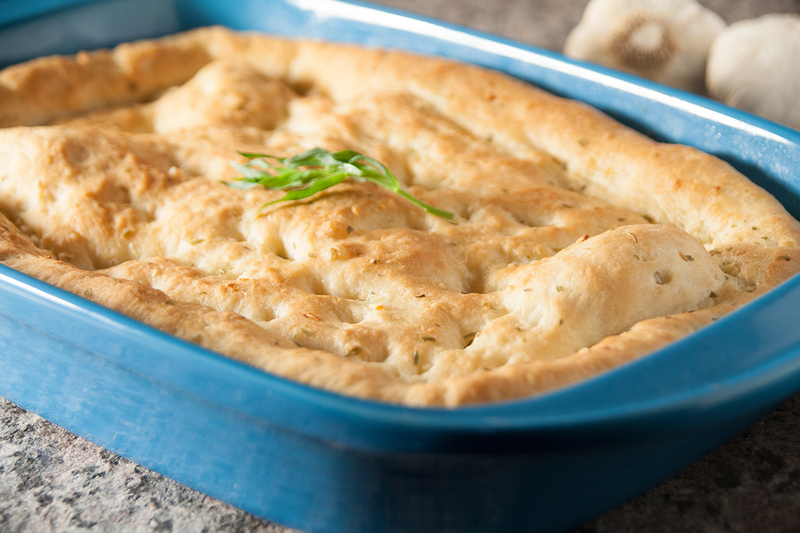 Roll bread or dinner rolls combined into a 9×13-inch rectangle and place in pan. Make several indentations, with finger tips, in dough about 1-inch apart. Pour remaining olive oil mixture over dough. Cover with plastic wrap.